(Friday Fotos) Los Glaciares National Park – El Calafate, Argentina | Barranquilla or Bust! So that you can judge for yourself my reaction to this park, let me provide a quick history. I have visited probably 90% of the national parks in the US. My favorite is Glacier National Park in Montana. Just to the north, in Canada’s also spectacular Jasper National Park, I saw my first glacier, the Athabasca. I have been a huge fan of national parks, especially ones with snow-covered mountains, ever since my parents gave me the amazing gift of carting me around to them. (Thank you, Mom and Dad.) So I expected to love this part of our Argentina trip. I did not, however, expect to be BLOWN OUT OF THE WATER. I was so taken with this place that objectivity on it now eludes me. From the time we landed at the new airport in El Calafate, the outpost-turned-resort town that has grown up to support the region’s tourism, to the time we left, I kept thinking, “Wow, look at that. This is it. This is what we came to see.” And then there was more. They say that if you eat the wild blueberry-esque fruit of the calafate, the bush for which the town is named, you’ll be back. You better know that my husband and I downed some before we left. This is the stuff from which traveling dreams are made. Enjoy. Tip: The photo captions provide more info on the park and the Perito Moreno Glacier. If you’d like to learn more, click on a photo to open the slideshow. A 3.5 hour flight from Buenos Aires brings the first glimpse of Lago Argentino, the largest freshwater lake in Argentina. It’s dotted with icebergs and surrounded by pink flamingos. No kidding. After driving an hour from the town of Calafate, we arrive at the entrance to the national park. Our first look at the Perito Moreno Glacier, one of several glaciers in the park. The total area of this single glacier is greater than that of the Distrito Federal of Buenos Aires. 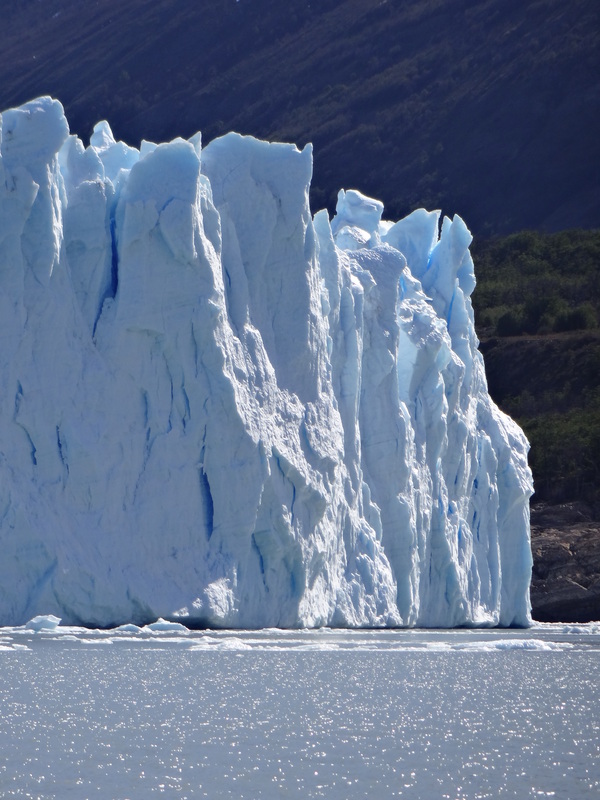 We embark on a “nautical safari” to see one side of the Perito Moreno’s leading edge. Only now do we begin to understand the enormity of what we’re seeing. The boat approaches the glacier’s southern flank, where it empties into Lago Argentino. Unlike most glaciers in the world, the Perito Moreno is “in equilibrium”. Enough snow falls in the Southern Patagonia Icefield (which Wikipedia says is the world’s 3rd largest reserve of freshwater) to allow the glacier to gain ice at the same rate it loses it at the terminus. One of the most magnificent experiences this trip has to offer is seeing huge chunks of ice suddenly “calve” off and slide into the water. The sound is thunderous. Our boat rocked with the waves. Areas where ice has recently calved shimmer like a fresh wound. The Perito Moreno advances approximately 2 meters every day. At the leading edge, it meets the land peninsula across from it, eventually forming a dam between the two sides of the lake. The water works its way under this to create an ice bridge between the glacier and the peninsula. Every four years or so, the bridge (not yet formed in this photo) falls in a spectacularly explosive collapse. There is no more beautiful cathedral. The shades of blue are incredible. The leading edge can be seen as it approaches the peninsula. This is where a dam will eventually form between the two sides of Lake Argentino. On the boat, in our rented parkas. The glacier stands between 60 and 80 meters above water level. A seemingly motionless “flag” of cloud above the mountains. The national park has built a series of beautiful raised walkways and stairs – referred to as “The Balconies” – into the side of the peninsula that faces the Perito Moreno’s eastern edge. The Balconies are elegantly constructed into the hillside, offering incredible access without taking away from the views. The Balconies also offer walkways that showcase the mountains visible to the north and east. Another view of the leading edge, where it is approaching the land peninsula. Our boat tour was on one side of this peninsula; the Balconies are built into the other side of the peninsula itself. Striations from earlier glacial movement can be seen in the hillside. Amazingly, this gorgeous view is not the main thing to see here. Gio stops to savor the moment. To the left, one can see the thin arm of water connecting the two sides of Lake Argentino. This is called the “Canal de Témpanos” – Iceberg Canal – because of all the icebergs formed by the calving of the glacier. This view is a reminder of the true wilderness and often brutal conditions that lie just beyond where we stand. This area of Argentina is known for locally raised lamb. These guys are being roasted in the traditional fashion. After a day of glacier watching, it’s time for a parrilla! Oh, and then there’s the wine. Salud! This sunset signals the end of a truly perfect day. The lights of the town begin to show in the hillside below. Oh yeah, you KNOW we’re eating some of this calafate ice cream. We WILL be back. You think you are all done, and then you get a view like this from the Glacier Museum (one of only three in the world) just before you fly away. P.S. 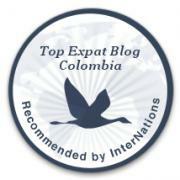 If you are a regular reader of this blog, or if you simply like what you see, please take a moment to vote so that I’ll be in the running to attend a travel bloggers’ conference in Barcelona. Barranquilla or Bust! needs only 50 votes to make it to the next stage of the competition. I sincerely thank you! This entry was posted in Friday Fotos, Photography, Travel & Tourism and tagged adventure, argentina, Buenos Aires, El Calafate, expat, Glacier National Park, Los Glaciares National Park, Parque Nacional Los Glaciares, Patagonia, photography, south america, travel. Bookmark the permalink. 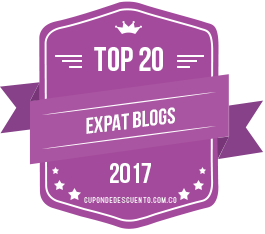 Why I love my new expat blogging “family’…a little vacation in my laptop with a side of learning. Los Glaciares and El Calafate, never heard of them, cookie crumbs will be scattered in my laptop as I search to learn more. The advantage of Portugal, it’s so tiny we can explore it by bus!